Instant Win Games have launched three new Mayan-themed games, which will take players on a thrilling tour of the ancient Mayan empire. 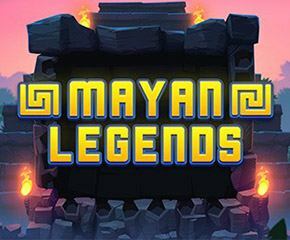 If you love adventure then Mayan legends, one of the three Mayan-themed online slots is for you. These visually appealing slots are aimed at the lottery as well as commercial sectors. The slot is smooth but interesting. In fact, this is one of the more innovative Instant Win games. The slot has colourful statues called legends from the antiquated Mayan civilisation. And amazingly, you can win a straight £400k with just a roll of the dice. The Mayan legends online slot is a must try for its 3D graphics, Mayan theme and hidden treasures on offer. The hidden treasure is buried deep within. Unearth it by starting your game and clicking on the “Play” button. Set the bet amount by clicking + or – buttons. The bet amount will be deducted from the current amount. You have 5 chances to roll the dice. To collect the mask at a particular position click on the dice to select the coordinate. The matching symbols, if any, will also be collected. All the symbols collected by the player will be marked. If you fill the row on the prize table. The prize money shown on that row will be yours. If you collect exactly three or more crystal masks. And lastly, if you collect the instant prize from the game board. 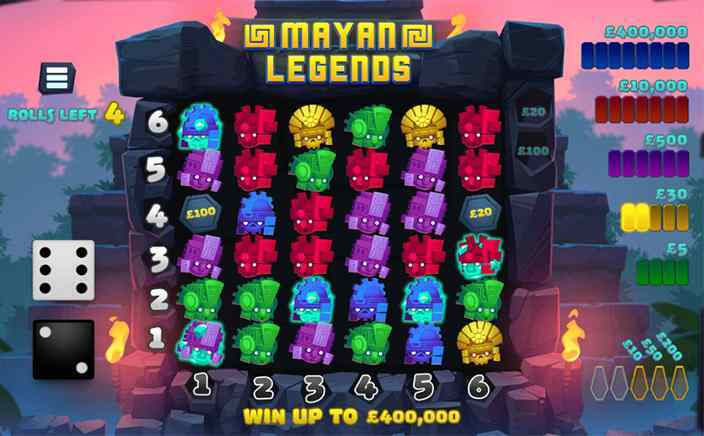 Mayan Legends is based on ancient monuments referred as legends and is immensely popular among players. The game is a hit because of its eye-popping prize of up to £400,000. This Mayan-themed game is entertaining with its hidden treasures. With three different ways to win, the game will speedily make you a legend. The theoretical average return to player (RTP) is 85.16%. So, get ready to become a legend by winning huge prizes in no time!